For other operas, see Falstaff (Balfe) and Falstaff (Salieri). Falstaff (Italian pronunciation: [ˈfalstaf] ) is a comic opera in three acts by the Italian composer Giuseppe Verdi. The libretto was adapted by Arrigo Boito from Shakespeare's The Merry Wives of Windsor and scenes from Henry IV, parts 1 and 2. 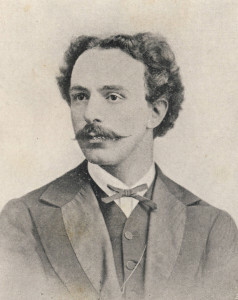 The work premiered on 9 February 1893 at La Scala, Milan. Verdi wrote Falstaff, which was the last of his 28 operas, as he was approaching the age of 80. It was his second comedy, and his third work based on a Shakespeare play, following Macbeth and Otello . The plot revolves around the thwarted, sometimes farcical, efforts of the fat knight, Sir John Falstaff, to seduce two married women to gain access to their husbands' wealth. Herbert von Karajan was an Austrian conductor. He was principal conductor of the Berlin Philharmonic for 35 years. Generally regarded as one of the greatest conductors of the 20th century, he was a dominant figure in European classical music from the mid-1950s until his death. Part of the reason for this was the large number of recordings he made and their prominence during his lifetime. By one estimate he was the top-selling classical music recording artist of all time, having sold an estimated 200 million records. Verdi made numerous changes to the music after the first performance, and editors have found difficulty in agreeing on a definitive score. The work was first recorded in 1932 and has subsequently received many studio and live recordings. Singers closely associated with the title role have included Victor Maurel (the first Falstaff), Mariano Stabile, Giuseppe Valdengo, Tito Gobbi, Geraint Evans and Bryn Terfel. Victor Maurel was a French operatic baritone who enjoyed an international reputation as a great singing actor. 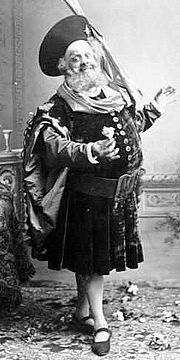 Mariano Stabile was an Italian baritone, particularly associated with the Italian repertory, especially the role of Falstaff. The Ingenious Gentleman Sir Quixote of La Mancha, or just Don Quixote, is a Spanish novel by Miguel de Cervantes. Published in two parts, in 1605 and 1615, Don Quixote is the most influential work of literature from the Spanish Golden Age and the entire Spanish literary canon. As a founding work of modern Western literature, it regularly appears high on lists of the greatest works of fiction ever published, such as the Bokklubben World Library collection that cites Don Quixote as the authors' choice for the "best literary work ever written". What a joy! To be able to say to the Audience: "We are here again!! Come and see us!!" Chorus of townspeople, Ford's servants, and masqueraders dressed as fairies etc. Falstaff and his servants, Bardolfo and Pistola, are drinking at the inn. Dr Caius bursts in and accuses Falstaff of burgling his house and Bardolfo of picking his pocket. He is ejected. Falstaff hands a letter to each of his servants for delivery to Alice Ford and Meg Page, two wealthy married women. In these two identical letters, Falstaff professes his love for each of the women, although it is access to their husbands' money that he chiefly covets. Bardolfo and Pistola refuse, claiming that honour prevents them from obeying him. Falstaff dispatches his page, Robin, to deliver the letters. Falstaff delivers a tirade at his rebellious followers (L'onore! Ladri ... ! / "Honour! You rogues ... !") telling them that honour is a mere word and is of no practical value. He chases them out of his sight. Alice and Meg have received Falstaff's letters. They compare them, see that they are identical and, together with Mistress Quickly and Nannetta Ford, resolve to punish Falstaff. Meanwhile, Ford has been warned of the letters by Bardolfo and Pistola. All three are thirsty for revenge and are supported by Dr Caius and Fenton, a young gentleman. To Ford's disapproval, Fenton is in love with Nannetta. Finding a moment to be alone, the young lovers exchange banter. They are interrupted by the return of Alice, Meg and Mistress Quickly. The act ends with an ensemble in which the women and the men separately plan revenge on Falstaff. Falstaff is alone at the inn. Bardolfo and Pistola, now in the pay of Ford, enter and pretend to beg for forgiveness for past transgressions. They announce to their master the arrival of Mistress Quickly, who delivers an invitation to go to Alice's house that afternoon between the hours of two and three. She also delivers an answer from Meg Page and assures Falstaff that neither is aware of the other's letter. Falstaff celebrates his potential success ("Va, vecchio John" / "Go, old Jack, go your own way"). Ford arrives, masquerading as "Signor Fontana", supposedly an admirer of Alice; he offers money to the fat knight to seduce her. Falstaff is puzzled at the request, and "Fontana" explains that if Alice succumbs to Falstaff, it will then be easier for Fontana to overcome her virtuous scruples. Falstaff agrees with pleasure and reveals that he already has a rendezvous arranged with Alice for two o'clock – the hour when Ford is always absent from home. Falstaff goes off to change into his best clothes; Ford is consumed with jealousy (È sogno o realtà? / "Is it a dream or reality?"). When Falstaff returns in his finery, they leave together with elaborate displays of mutual courtesy. The three women plot their strategy ("Gaie Comari di Windsor" / "Merry wives of Windsor, the time has come!"). They are in high spirits, but Alice notices that Nannetta is not. This is because Ford plans to marry her to Dr Caius, a man old enough to be her grandfather; the women reassure her that they will prevent it. Mistress Quickly announces Falstaff's arrival, and Mistress Ford has a large laundry basket and a screen placed in readiness. Falstaff's attempts to seduce Alice with tales of his past glory ("Quand'ero paggio del Duca di Norfolk" / "When I was page to the Duke of Norfolk I was slender") are cut short, as Mistress Quickly reports the impending arrival of Ford with a retinue of henchmen to catch his wife's lover. Falstaff hides first behind the screen, and then the women hide him in the laundry basket. In the meantime Fenton and Nannetta hide behind the screen. The men hear the sound of a kiss behind it. They assume it is Falstaff with Alice, but instead they find the young lovers. Ford orders Fenton to leave. Inside the hamper Falstaff is almost suffocating. While the men resume the search of the house Alice orders her servants to throw the laundry basket through the window into the River Thames, where Falstaff endures the jeers of the crowd. Falstaff glumly curses the sorry state of the world. Some mulled wine soon improves his mood. Mistress Quickly arrives and delivers another invitation to meet Alice. Falstaff at first wants nothing to do with it, but she persuades him. He is to meet Alice at midnight at Herne's Oak in Windsor Great Park dressed up as Herne the Hunter. He and Mistress Quickly go inside the inn. Ford has realised his error in suspecting his wife, and they and their allies have been watching secretly. They now concoct a plan for Falstaff's punishment: dressed as supernatural creatures, they will ambush and torment him at midnight. Ford privately proposes a separate plot to Caius: Nannetta will be disguised as Queen of the Fairies, Caius will wear a monk's costume, and Ford will join the two of them with a nuptial blessing. Mistress Quickly overhears and quietly vows to thwart Ford's scheme. Fenton arrives at the oak tree and sings of his happiness ("Dal labbro il canto estasiato vola" / "From my lips, a song of ecstasy flies") ending with "Lips that are kissed lose none of their allure." Nannetta enters to finish the line with "Indeed, they renew it, like the moon." The women arrive and disguise Fenton as a monk, telling him that they have arranged to spoil Ford's and Caius's plans. Nannetta, as the Fairy Queen, instructs her helpers ("Sul fil d'un soffio etesio" / "On the breath of a fragrant breeze, fly, nimble spirits") before all the characters arrive on the scene. Falstaff's attempted love scene with Alice is interrupted by the announcement that witches are approaching, and the men, disguised as elves and fairies, soundly thrash Falstaff. At length he recognises Bardolfo in disguise. The joke is over, and Falstaff acknowledges that he has received his due. Ford announces that a wedding shall ensue. Caius and the Queen of the Fairies enter. A second couple, also in masquerade, ask Ford to deliver the same blessing for them as well. Ford conducts the double ceremony. Caius finds that instead of Nannetta, his bride is the disguised Bardolfo, and Ford has unwittingly blessed the marriage of Fenton and Nannetta. Ford accepts the fait accompli with good grace. Falstaff, pleased to find himself not the only dupe, proclaims in a fugue, which the entire company sings, that all the world is folly, and all are figures of fun (Tutto nel mondo è burla ... Tutti gabbati! / "Everything in the world is a jest ..."). ↑ Beaumont (1987), pp. 53—54. ↑ Civetta, Chapter 3: "Falstaff" section. ↑ Osborne, pp. 406, 409, 420, 655 and 815. ↑ List of singers taken from Budden, Vol 3, p. 416. 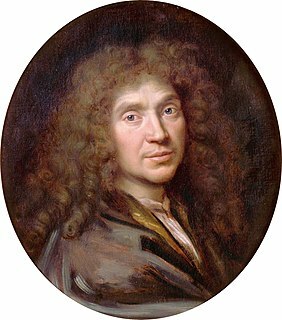 Baldini, Gabriele (1980). The Story of Giuseppe Verdi: Oberto to Un ballo in maschera. Cambridge: Cambridge University Press. ISBN 978-0-521-22911-1. Beecham, Thomas (1959). A Mingled Chime. London: Hutchinson. OCLC 470511334. Boito, Arrigo; Giuseppe Verdi (1980) . Falstaff in Full Score. New York: Dover. ISBN 978-0-486-24017-6. Budden, Julian (1984). The Operas of Verdi, Volume 1: From Oberto to Rigoletto. London: Cassell. ISBN 978-0-304-31058-6. Budden, Julian (1984). The Operas of Verdi, Volume 3: From Don Carlos to Falstaff. London: Cassell. ISBN 978-0-304-30740-1. Civetta, Cesare (2012). The Real Toscanini – Musicians Reveal the Maestro. New York: Hal Leonard. ISBN 978-1-57467-241-1. Grogan, Christopher (2010) . Imogen Holst: A Life in Music. Woodbridge, UK and New York: Boydell Press. ISBN 978-1-84383-599-8. Kimbell, David (2001). "Falstaff". In Holden, Amanda. The New Penguin Opera Guide. New York: Penguin Putnam. ISBN 978-0-14-029312-8. McDonald, Russ (2009). To astonish the world, Notes to Glyndebourne DVD recording. Waldron, Heathfield, UK: Opus Arte. OCLC 610513504. Melchiori, Giorgio (1999). "Introduction". The Merry Wives of Windsor. Arden Shakespeare. London: Thomson. ISBN 978-0-17-443561-7. Milnes, Rodney (2004). Falstaff: notes to LSO Live recording. London: London Symphony Orchestra. OCLC 57210727. Morris, Corbyn (1744). An Essay Towards Fixing the True Standards of Wit, Humour, Raillery, Satire, and Ridicule. London: J Roberts and W Bickerton. OCLC 83444213. Osborne, Richard (1989). Karajan conducts Falstaff. London: EMI. OCLC 42632423. Osborne, Richard (1998). Herbert von Karajan: A Life in Music. London: Chatto and Windus. ISBN 978-1-85619-763-2. Phillips-Matz, Mary Jane (1993). Verdi: A Biography. London and New York: Oxford University Press. ISBN 978-0-19-313204-7. Rowse, A L (1978). "The Merry Wives of Windsor". The Annotated Shakespeare, Volume 1. London: Orbis. ISBN 978-0-85613-087-8. Sachs, Harvey (1988). 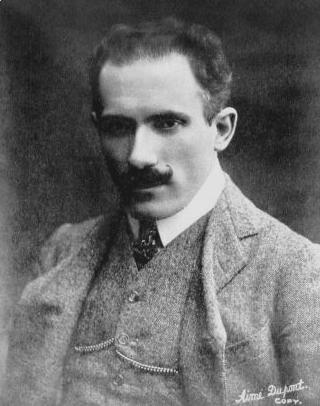 Toscanini. New York: Harper and Row. ISBN 978-0-06-091473-8. Shakespeare, William (1994). "The Merry Wives of Windsor". In Peter Alexander. Complete works of William Shakespeare. Glasgow: HarperCollins. ISBN 978-0-00-470474-6. Steen, Michael (2003). The Lives and Times of the Great Composers. New York: Icon Books. ISBN 978-1-56159-228-9. Streatfeild, R A (1895). Masters of Italian Music. London: Osgood McIlvain. OCLC 2578278. Vickers, Brian (2002). William Shakespeare: The Critical Heritage, Volume 3: 1733–1752. London: Routledge. ISBN 978-1-134-78355-7. Wechsberg, Joseph (1974). Verdi. London: Weidenfeld and Nicolson. ISBN 978-0-297-76818-0. Osborne, Charles (1969). The Complete Operas of Verdi. New York: Da Capo Press. ISBN 0-306-80072-1. Toye, Francis (1931). Giuseppe Verdi: His Life and Works. London: Heinemann. OCLC 462427571. Werfel, Franz; Paul Stefan (1973). Verdi: The Man and His Letters. New York: Vienna House. ISBN 0-8443-0088-8. Wikimedia Commons has media related to Falstaff (Verdi) . Kingston, W. Beatty (translator), Falstaff: A Lyrical Comedy in Three Acts. Libretto with original English translation at archive.org. Sir John Falstaff is a fictional character who is mentioned in four plays by William Shakespeare and appears on stage in three of them. His significance as a fully developed character in Shakespeare is primarily formed in the plays Henry IV, Part 1 and Part 2, where he is a companion to Prince Hal, the future King Henry V. A notable eulogy for Falstaff is presented in Act II, Scene III of Henry V, where Falstaff does not appear as a character on stage, as enacted by Mistress Quickly in terms that some scholars have ascribed to Plato's description of the death of Socrates after drinking hemlock. By comparison, in The Merry Wives of Windsor, Falstaff is presented by Shakespeare as the buffoonish suitor of two married women. The Merry Wives of Windsor is a comedy by William Shakespeare first published in 1602, though believed to have been written in or before 1597. The Windsor of the play's title is a reference to the town of Windsor, also the location of Windsor Castle, in Berkshire, England. Though nominally set in the reign of Henry IV, the play makes no pretense to exist outside contemporary Elizabethan era English middle class life. It features the character Sir John Falstaff, the fat knight who had previously been featured in Henry IV, Part 1 and Part 2. It has been adapted for the opera on several occasions. The play is one of Shakespeare's lesser-regarded works among literary critics. The Merry Wives of Windsor is an opera in three acts by Otto Nicolai to a German libretto by Salomon Hermann Mosenthal based on the play The Merry Wives of Windsor by William Shakespeare. Falstaff – Symphonic Study in C minor, Op. 68, is an orchestral work by the English composer Edward Elgar. Though not so designated by the composer, it is a symphonic poem in the tradition of Franz Liszt and Richard Strauss. It portrays Sir John Falstaff, the "fat knight" of William Shakespeare's Henry IV Parts 1 and 2. Mistress Nell Quickly is a fictional character who appears in several plays by William Shakespeare. She is an inn-keeper, who runs the Boar's Head Tavern, at which Sir John Falstaff and his disreputable cronies congregate. Falstaff, ossia Le tre burle is a dramma giocoso in two acts by Antonio Salieri, set to a libretto by Carlo Prospero Defranceschi after William Shakespeare's The Merry Wives of Windsor. Sir John in Love is an opera in four acts by the English composer Ralph Vaughan Williams. The libretto, by the composer himself, is based on Shakespeare's The Merry Wives of Windsor and supplemented with texts by Philip Sidney, Thomas Middleton, Ben Jonson, and Beaumont and Fletcher. The music deploys English folk tunes, including "Greensleeves". Originally titled The Fat Knight, the opera premiered at the Parry Opera Theatre, Royal College of Music, London on 21 March 1929. Its first professional performance was on 9 April 1946 at Sadler's Wells Theatre. The Merry Wives of Windsor is a 1950 East German musical comedy film directed by Georg Wildhagen. It was based on William Shakespeare's play by the same name. Inno delle nazioni, a cantata in a single movement, is one of only two secular choral works composed by Giuseppe Verdi. This Hymn incorporates "God Save the King", "La Marseillaise", and "Il Canto degli Italiani". It was the first collaboration between the composer and Arrigo Boito, who, much later, would revise the libretto of Simon Boccanegra and write the original libretti of Otello and Falstaff. Robert Shallow is a fictional character who appears in Shakespeare's plays Henry IV, Part 2 and The Merry Wives of Windsor. He is a wealthy landowner and Justice of the Peace in Gloucestershire, who at the time of The Merry Wives of Windsor is said to be over 80. Falstaff's Wedding is a play by William Kenrick. It is a sequel to Shakespeare's plays Henry IV, Part 2 and The Merry Wives of Windsor. Most of the characters are carried over from the two Shakespeare plays. The play was first staged in 1766, but was not a success. It was infrequently revived thereafter. Corporal Nym is a fictional character who appears in two Shakespeare plays, The Merry Wives of Windsor and Henry V. He later appears in spin-off works by other writers. Nym is a soldier and criminal follower of Sir John Falstaff and a friend and rival of Ancient Pistol. The Merry Wives of Windsor is a 1918 German silent comedy film directed by William Wauer. It is an adaptation of William Shakespeare's The Merry Wives of Windsor. The Merry Wives of Windsor is a 1965 Austrian-British historical comedy film directed by Georg Tressler and starring Norman Foster, Colette Boky and Charles Igor Gorin.